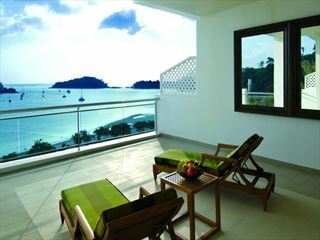 Boasting a truly jaw-dropping secluded location, The Andaman Langkawi is a stylish and luxurious hotel designed to take your breath away every day. 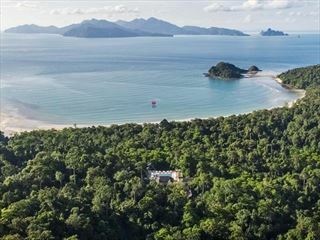 We think it’s looking spectacular after its recent refurbishments – now is the time to visit and experience true Malaysian hospitality on one of the most incredible beaches in the world. The facilities really set apart The Andaman as a great place to stay – as well as the large, meandering swimming pool there are six dining options, a hair salon, a range of activities and excursions on offer and a complimentary daily shuttle to either Kuah town or Pantai Cenang. This is a family-friendly resort featuring the Young Explorers’ Club which caters to the little ones – which gives you the opportunity to relax for a few hours by the pool or get a treatment at the V Integrated Wellness spa. Top Tip: The star attraction of the refurbishment is the Jala Restaurant. In a unique location, overlooking the beach Jala serves delicate and delicious seafood in a style that fuses the best of Western and Asian cuisine. FREE night offer Stay between Jun – 20 Dec 19 & receive a special discount rate PLUS stay for 5 nights & only pay for 4, stay 7 nights & pay for 5 or stay for 14 nights & pay for 10! Saving you up to $800 per couple. Valid on all room types. Black out dates from 1 Jul – 16 Aug 19. Discount offer and Bonus Night offer can be combined. Book by 30 Jun 19. Great Savings Save up to $450 for holidays 1 Apr to 20 Dec 19 when you book a minimum of 90 days prior to travel. Date restrictions apply. Available on all room types. Not combinable with free night offer. Fantastic savings Stay from 21 Apr – 31 May 19 and receive a special discount rate on your accommodation. Saving you up to $650 per couple. Book by 31 May 19. Valid on all room types. Cannot be combined with any other offer.